Real Life Really Scary Places – For Real! Feeling brave? Or just a crazed adrenaline junkie? Either way, if you’re looking for a real fright this Halloween, why not wander off the beaten track and visit some of the most hauntingly chilling locations this weird, wide world has to offer. 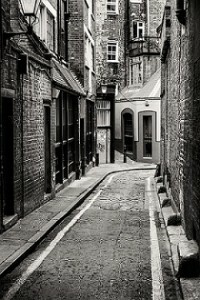 Let’s start off close to home – deep in the midst of the infamous East End of London: Whitechapel, the setting of the unsolved Jack the Ripper murders in the then Victorian slums, 1888. We all know the story; over a span of 12 weeks from the end of August, the ever elusive ‘Jack’ killed five women in the streets of Whitechapel. His still unknown identity has inspired countless theories, films and TV series. This All-Hallows Eve, immerse yourself into Victorian England and learn about the horrors whilst walking through where they actually happened! There are lots of walking tours that take place after dark…or venture into the London Dungeons or Tombs for a truly terrifying, yet educational experience! Anyone been watching American Horror Story? – Us too. A lot of the storylines are based on true events, or real-life myths and mysteries. A prime example is the vivid witch and voodoo culture of the historic French Quarter New Orleans, Louisiana. Behind the beautiful architecture and charismatic jazz bands, there is a sinister side to this popular tourist hot-spot. 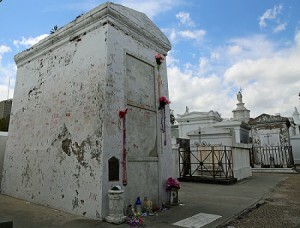 Deemed as the ‘most haunted’ city in America, the supernatural forces span from Vampires, Witch covens and the Voodoo Queen Marie Laveau to the ghosts of Madame LaLaurie’s torture chamber. Haunted neighbourhood and cemetery tours are available, dabble in some magic, learn the history – but don’t lose yourself along the way! Another dose of horror in the USA – Stephen King’s inspiration behind ‘The Shining’, The Stanley Hotel, Colorado. 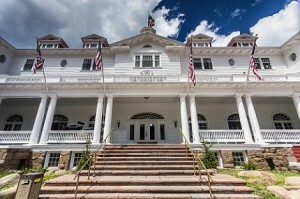 The Stanley had long since held a reputation for paranormal activity, but it was only since the masterpiece novel made an appearance that the hotel gained true recognition and even appreciation for it. Today, they conduct regular night ghost tours, showing the most paranormally active areas of the building. Around Halloween there is an abundance of themed events, including a Shining Ball, a Halloween Masquerade party and a RedRum Mystery Dinner. These events are, for some reason unbeknown to ourselves (‘here’s Johnny!’ anyone? 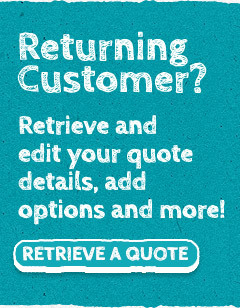 ), highly sought after – so if you missed out this year, book in advance for next! Back to Europe now, and the spooky medieval fortress, ‘Bran Castle’, the muse for Bram Stoker’s Count Dracula’s Castle residence. 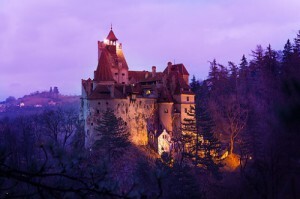 Depicted in the novel as a decaying castle, precariously balanced on the edge of a murderous precipice in Transylvania, the image conjured is pretty much Bran Castle – hence why it is now widely thought to be home to the undying bloodsucking aristocrat. You can take a tour around this hauntingly beautiful castle most days of the year – Airbnb were even hosting a competition this year to win a night stay in Dracula’s Castle – On Halloween! We hope the winners have their travel insurance sorted, who knows what lurks in the dark corners. Whatever you do this Halloween, keep the garlic close, lights on and don’t venture anywhere alone…Happy Holidays!